The Jonesborough Genealogical Society will be a participant in the East Tennessee Historical Society’s East Tennessee History Fair on Saturday, August 18th from 10 am to 5 pm. 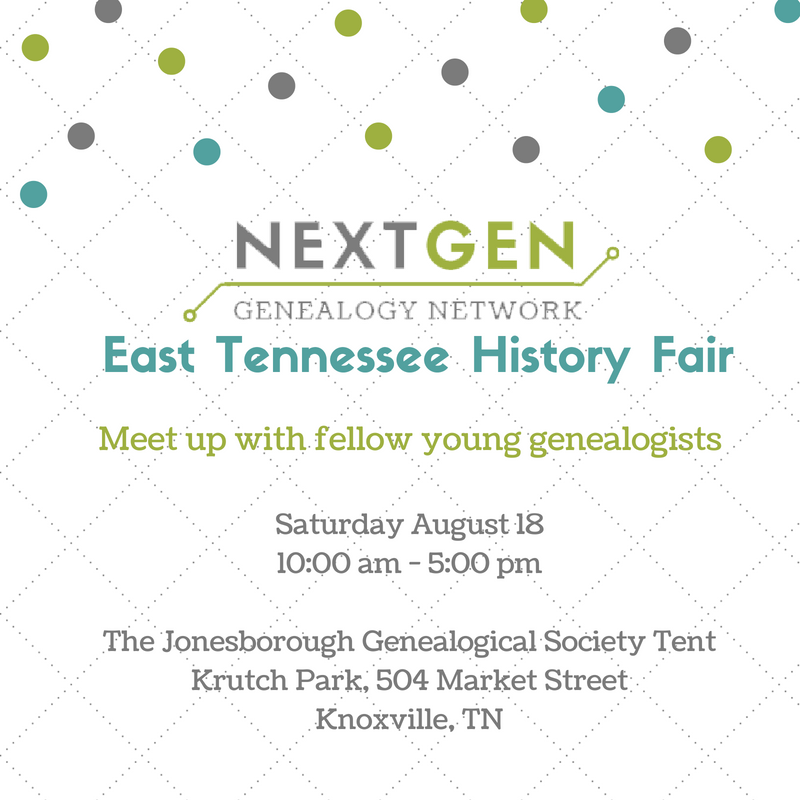 As part of this event, the society’s tent will play host to the NextGen Genealogy Network as a meeting point for NextGen members in East Tennessee, Southwest Virginia, and Eastern Kentucky. The Jonesborough Genealogical Society was founded in April 1990 in Jonesborough, Tennessee, Tennessee’s oldest town. Today the society serves to promote, study, preserve, and document the family heritages of Jonesborough, Washington County, and Northeast Tennessee. As the society continues to transition, they will love to help beginners and experienced genealogists with brickwalls and issues within the Northeast Tennessee region. Stop by the tent, meet other genealogists and pick up some information on NextGen and the Jonesborough Genealogical Society and check out the society’s range of materials. This entry was posted in Meetups, NGGN Information.